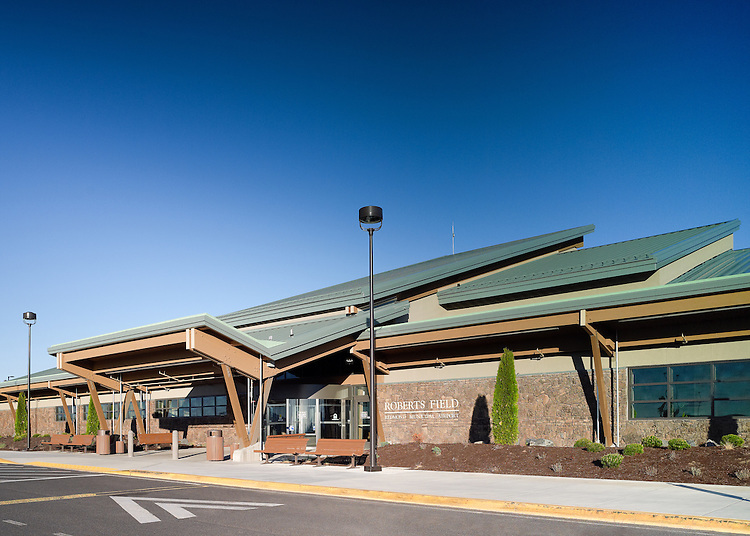 Redmond Municipal Airport (RDM) is located in the heart of Central Oregon and is currently served by four air carriers; Alaska Air, American Airlines, Delta Airlines, and United/United Express with daily direct flights to Denver, Portland, Los Angeles International, San Francisco, Salt Lake City, and Seattle. 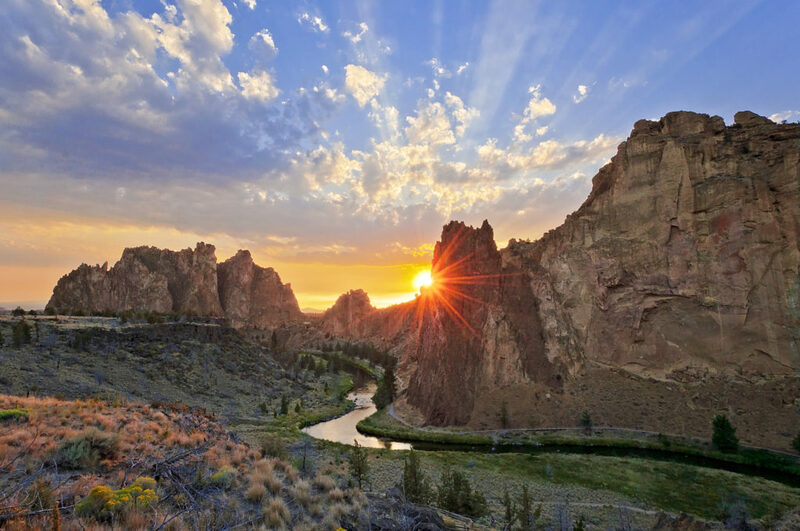 One of the 7 Wonders of Oregon, Smith Rock is the birthplace of American sport climbing and a feast for the eyes. Take a hike along the Crooked River and marvel at the spires that rise from the canyon floor or trek up Misery Ridge for expansive views of the High Desert and Monkey Face. The 5th largest ski area in the U.S. is a year-round destination for fun and amazing views. Snow lovers can enjoy stellar skiing conditions from November through May – among the longest ski seasons in the country. Once the snow melts a little, Mt. Bachelor transforms into a downhill mountain bike Mecca with miles of adrenaline-pumping trails. Summer also means sunset dinners at nearly 9,000 feet – where the meals and views are equally as spectacular. 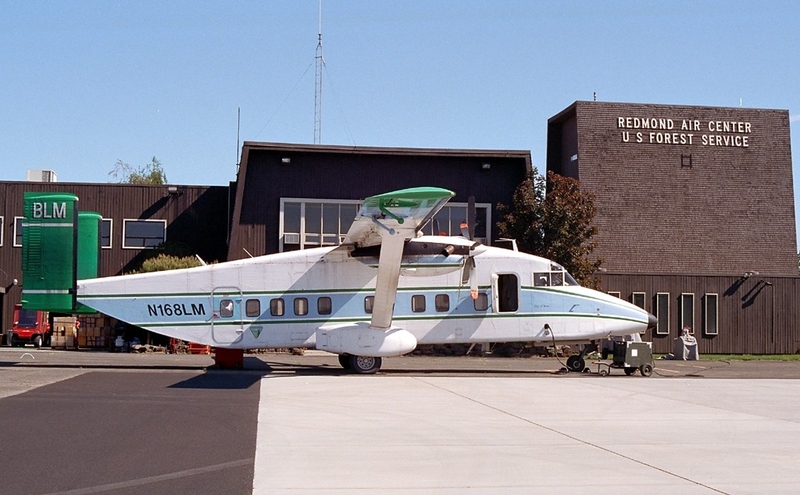 Redmond Air Center is a hub for wildfire suppression and support, and fire-related aviation activities for the Pacific Northwest region, including the training center for wildfire smoke jumpers. The airbase is open for facility tours Monday - Friday, 9-10:30 a.m. and 1-3 p.m. Please schedule tours in advance by calling the center. This ensures that staff and facilities are available, especially during fire season: May-September. 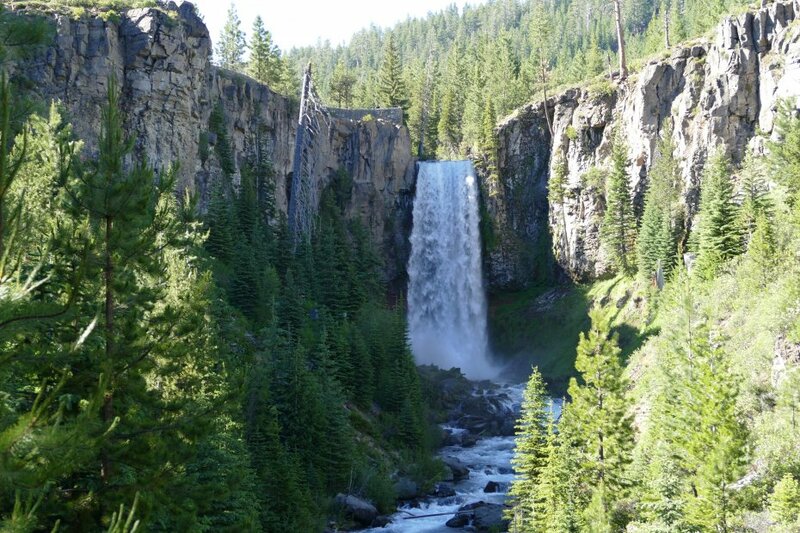 Tumalo Falls is a majestic, nearly 100-foot waterfall that cascades into the tranquil Tumalo Creek below. Take a hike along the creek and up to the top of the falls for a cool view from above. The trail continues for four miles up Happy Valley; perfect for hikers of any age. Central Oregon is known for exceptionally clean water – and it’s perfect for making exceptionally good beer. 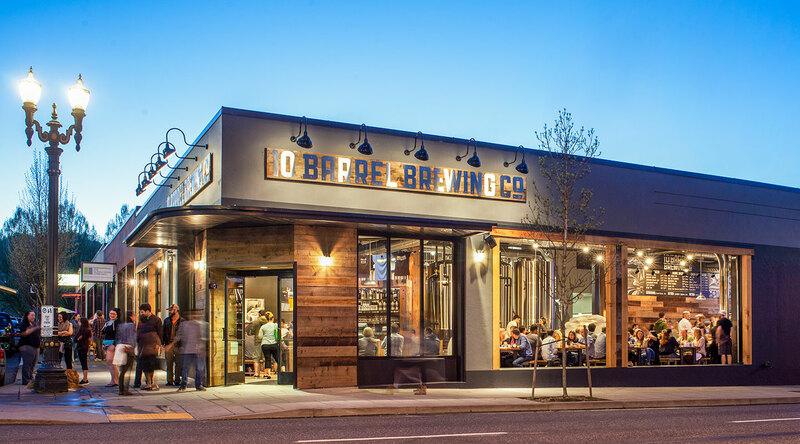 Enjoy a pint at any of our nearly 30 brewpubs across the region or take a tour of Deschutes Brewery, the one that started the movement here. Want to learn to brew your own? Check out Immersion Brewing where you can create your own beer in about two hours. 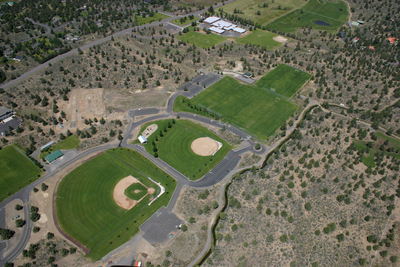 The Sports Complex features four softball fields, restrooms, concession stand (operated by the Cascade Aquatic Club), BMX bike track (operated by the BMX Bicycle Club of Central Oregon) and a remote control airplane landing strip (operated by the Field of Dreams R/C Club). 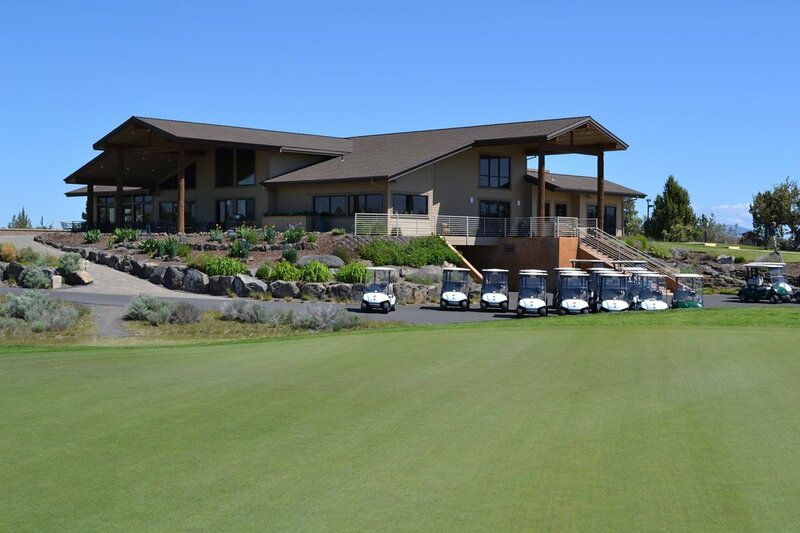 Located at 1859 NE Maple Ave.
Juniper Golf Club is taking the Oregon golf community by storm and assuming its place as one of the premier courses in Oregon, the Northwest and the country. 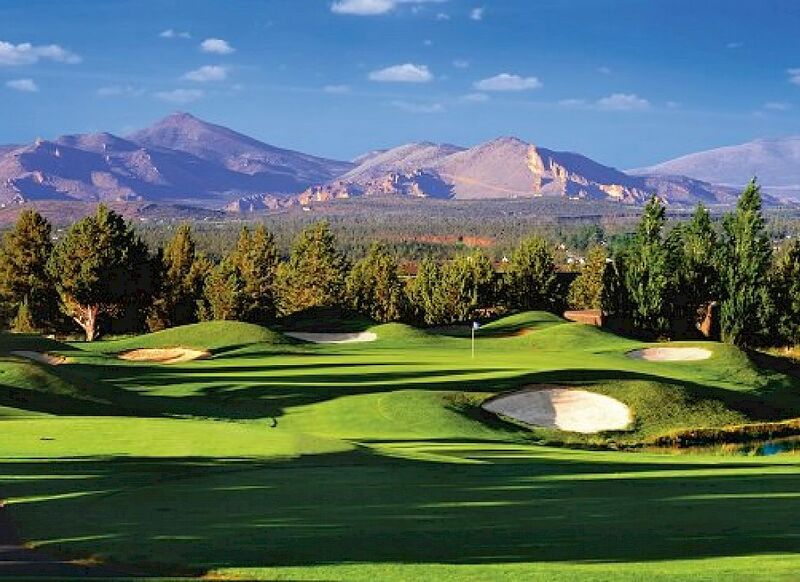 One of the most beautiful spots carved from the Central Oregon desert nestled on a beautiful piece of land in Redmond, The Hub of Central Oregon, with panoramic views of Mt. 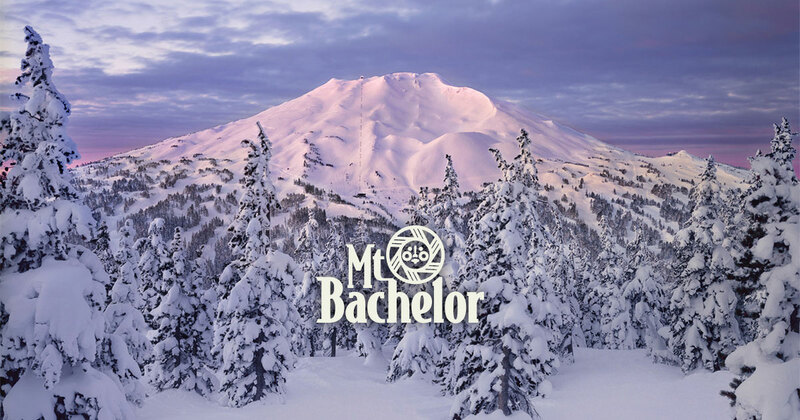 Bachelor, Broken Top, the Three Sisters, Mt. Washington, Three-fingered Jack, Mt. Jefferson and Mt. Hood. The Old Mill District is a historic area formerly occupied by two lumber mills in Bend, Oregon. 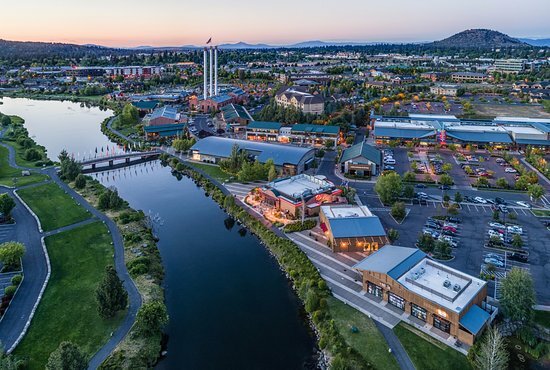 Encompassing approximately 270 acres along the Deschutes River, the Old Mill District is now a mixed-use area known for its shops, galleries and restaurants. 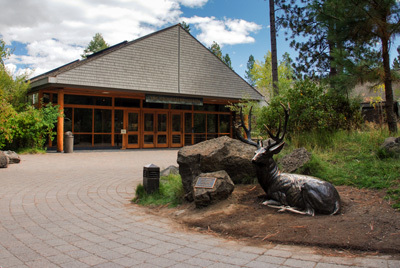 The High Desert Museum has been inspiring families since 1982 and is consistently rated as a top Central Oregon attraction by Trip Advisor. With 135 acres and more than 100,000 square feet of exhibit space, it’s a “must see” for anyone traveling through the area. The Lava River Cave near Bend, Oregon, is part of the Newberry National Volcanic Monument, which is managed by the United States Forest Service. 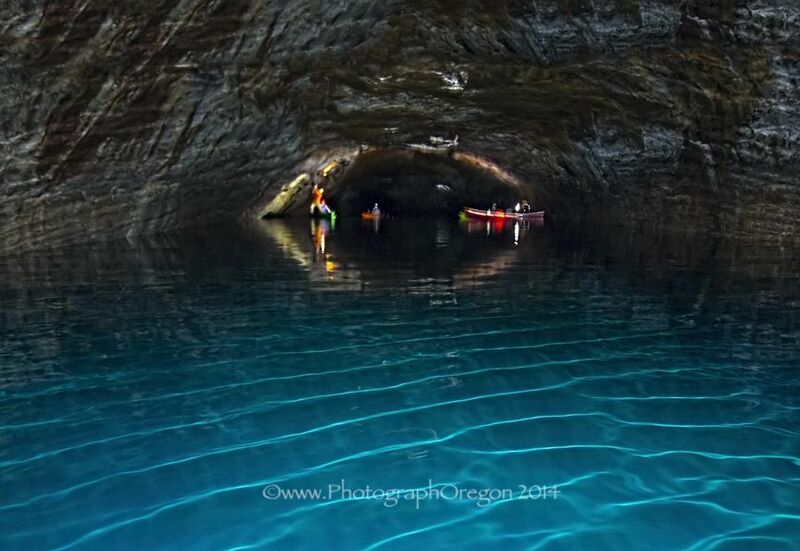 At 5,211 feet in length, the northwest section of the cave is the longest continuous lava tube in Oregon.